Background: The King of Bitters, also called Andrographis, is a traditional Chinese, Southeast Asian and Indian herb, and used for centuries in Ayurvedic medicine. The herb has been revered for treating infectious diseases and highly regarded also as having a preventative effect from many diseases, due to its powerful immune strengthening benefits. (2) non-specific immune response: macrophage cells scavenger and destroy invaders. King of Bitters activates both responses, making it effective against a variety of infections and oncogenic, cancer-causing agents. Research, shows it supports healthy cellular communication through a process called signal transduction pathways – as healthy signal transduction allows for effective intra-cellular communication of receptor sites, cellular metabolism and cell division. Strong receptors and pathways are important to counteract interference to the cell cycle. Such interference is the basis for the development of cancer and viral infections. Japanese researchers have reported that Andrographis stopped cancer cells from multiplying. Benefits: Positive results have been seen in relation to stomach, skin, prostate and breast cancer cells, in test-tube studies. Andrographolides in the plant are thought to enhance immune function such as production of white blood cells (scavengers of bacteria and other foreign matter), release of interferon, and activity of the lymph system. Scientists also believe that the herb can join with modern technology in the fight against AIDS. Research, shows that compounds from various plants are not able to penetrate the blood-brain barrier, however andrographolides from King of the Bitters has been found to do so, and concentrates in the brain and with beneficial effects to the central nervous system. Description: Easy to grow, annual/biennial bush to 1 meter high, with lanceolate leaves 4-12cm long. Small white flowers 1-2 cm long, set along a thin upright stem. Tubular flowers can have purple coloured flecks on the inside of the lip-like formation. A fine oblong seed capsule 1.5 cm long contains several very small round seeds. Seeds will readily disperse if not picked. Leaves have no aroma. Flavour of the whole plant is extremely bitter. Propagation is by seeds, cuttings and layering stems. Plant seeds, spring and summer, germination may be in 10- 30 days. Plants will grow in a wide range of soils, in full sun or shade and thrives in moist conditions. Constituents: flavonoids, iterpenoid lactones (andrographolides), paniculides, farnesols, polyphenols, arabinogalactan, proteins. Actions: Adaptogen (helps to normalise a physical function, depending on what the individual needs, e.g. it will lower high blood pressure, but raise low blood pressure; Antibacterial (fights bacterial activity); Antibiotic; Analgesic (pain reliever); Anti-inflammatory (reduces swelling); Antioxidant (helps in protecting the body from free radical damage); Anti-diabetic; Anti-acne (protects skin from pimples); Anti-carcinogenic (activity against different types of cancer, and leukemia; Anti-thrombotic (blood clot preventative); Anti-viral (inhibits viral activity); Anti-microbial (significant activity in fighting the common cold, flu, respiratory infections); Antiperiodic (counteracts periodic/intermittent diseases such as malaria); Antipyretic (reduces fever, usually caused by multiple infections or toxins); Bitter tonic; Blood purifier; Cardio-protective (protects heart muscles); Choleretic (alters the properties and flow of bile); Digestive (promotes digestion); Depurative (acts to clean and purify the body, particularly the blood); Expectorant (promotes mucus discharge from respiratory system); Hepato-protective (helps to protect liver and gall bladder functions); Hypoglycemic (blood sugar reducer); Immuno-stimulant; Laxative; Prophylactic (helps prevent disease); Sedative; Thrombolytic (blood clot buster); Vermicidal (used to kill intestinal worms and helps support the intestines). Medicinal Uses: A herb with many uses! In Indian traditional medicine, many different formulas contain the herb. In Chinese medicine it has had a wide therapeutic use, treating many ailments, including gastrointestinal complains, throat infections, to dispel toxins and for increasing biliary flow. Other reported therapeutic uses include: coughs, headaches, edema, earache, pain conditions, inflammation and muscular pain, arthritis, rheumatism, fibro myalgia, multiple sclerosis, depression, diarrhoea, dysentery, cholera, candida, lupus, diabetes, piles, fevers, fatigue, hepatitis, herpes, leprosy, loss of appetite, swollen lymph nodes and other lymphatic conditions, jaundice, dyspepsia, dermatitis, eczema, burns, pneumonia, bronchitis, tuberculosis, chicken pox, mumps; sluggish liver, spleen, kidneys and adrenal glands; sleeplessness, vaginitis, and constipation. It has had use as a replacement for quinine in treatment of malaria (still a prevalent disease in many tropical and subtropical countries). Over the last 20 years Andrographis has become popular in Europe and the USA as a treatment for colds and respiratory infections (several double-blind clinical trials have shown that it can reduce the severity of symptoms). Using the herb can also prevent the occurrence of the common cold. Also, present day research has found that the antioxidant compounds in the plant have a powerful effect on the liver, noted as being as effective as silymarin, from Milk Thistle. The herb can improve gall bladder function and increase bile flow, thereby aiding digestion. The herb has been used against Escherchia coli, Salmonella typhae and other fungal conditions. Andrographis promotes a healthy heart by helping to prevent blocked arteries and blood clots. One of the main active constituents in the plant is andrographolide, a very bitter substance… but bitter herbs, generally, have an affinity with the heart, also liver, gall bladder; and also have a cooling effect on the body and can bring down a temperature. Studies in China show King of the Bitters is effective in preventing the formation of blood clots and preventing the re-clogging of arteries after angioplasty (a technique used to treat blocked arteries by inserting a balloon into the blood vessels which is then inflated to widen the artery). Further research shows that the herb activates fibrinolysis, a natural process in the body in which blood clots are dissolved. It also relaxes the smooth muscle in the walls of blood vessels and has a blood pressure-lowering effect. Research shows the benefits of the herb for digestive functions, cardiovascular diseases, and cancers. Its ability to fight infections and boost the immune system is what we all need to be aware of and utilise… as the herb, is waiting to be of service. With the media reporting, that scientists are saying, the ‘super-bugs’ of our present age are appearing to be resistant to the most powerful antibiotics, the medicinal powers of King of the Bitters could help give us some protection. Contraindications: In human studies the herb has not been associated with any major side effects. Bitter herbs may aggravate heartburn and ulcers. Large oral doses may cause gastric discomfort or vomiting. If intestinal upset occurs, reduce the amount taken, or take with meals. Side effects are said to be rare (itching of skin has been observed). Refrain from use if gall bladder disease is known. Do not take while breastfeeding, during pregnancy (can be abortive), or if pregnancy is anticipated (may impair fertility). 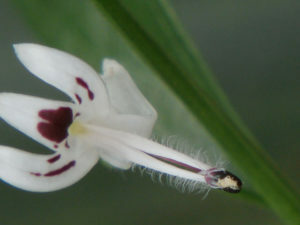 In almost every other respect, Andrographis has extremely low toxicity. It is not likely to be a herb that anyone would wish to take more of than the recommended dose, due to its extreme bitterness. King of Bitters has had many uses for thousands of years, that could now benefit our health and wellbeing in this century.